Does it surprise you to learn that more chicken wings are consumed on Super Bowl Sunday than any other date in the calendar year? Even if you aren’t surprised, it’s astounding to learn that a massive 1.23 billion chicken wings are consumed during the standout American holiday weekend. This figure is based on hard data from the National Chicken Council. With millions of Americans having an undeniable love for all things chicken, how can Foolish investors capitalize on the trend? The answer is surprisingly simple: Buffalo Wild Wings (NASDAQ:BWLD). The Minneapolis-headquartered restaurant chain offers a hard-to-beat value proposition for restaurant patrons (and investors): a delectable variety of chicken wings and sauces, alcoholic beverages, and large flat screen TVs for sports fans to indulge in their favorite basketball, baseball, or football games. Food and commodity costs are abating. BWLD has endured record food costs during Q4 2012 and Q1 2013 as record demand was met with limited supply due to corn feed costs. Wing prices have since fallen 25%, which should lead to higher margins in coming quarters. During the fourth quarter, same-store sales increased 5.8% at company-owned restaurants and 7.4% at franchised restaurants. Rising sales at existing restaurants combined with new restaurant openings will drive sustainable earnings power. 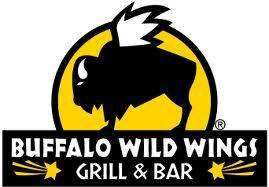 Unit growth is a key component of a long-term investment in Buffalo Wild Wings (NASDAQ:BWLD). The company currently operates 910 restaurants within North America, and management estimates that total capacity could reach 1,700 locations within the next six years. Wall Street continues to view the B-Dubs story favorably. Analysts at Raymond James recently upgraded the stock two notches to “strong buy” from “market perform” with a new $100 price target. The highest price target on the Street currently stands at $120. A fifth reason to buy the stock in the near term is the recent 34-minute Super Bowl blackout, which should be reflected in Q1 upcoming results on April 29. No one was happier with the blackout than B-Dubs CEO Sally Smith, who told her local Minnesota newspaper the additional time was “probably pretty good for business.” Smith estimates B-Dubs sold upwards of 10 million wings during the game, higher than the 8.8 originally expected. A single day of blowout sales could help BWLD beat upcoming first quarter results. While not direct corollaries, restaurant chains Chipotle Mexican Grill, Inc. (NYSE:CMG) and McDonald’s Corporation (NYSE:MCD) are also beneficiaries of lower food and commodity prices. Divested from McDonald’s back in 2006, Chipotle recently reported better-than-expected first quarter earnings of $2.45 vs. $2.14 consensus, causing the stock to skyrocket in the after hours on April 19. Wall Street wasn’t that impressed with the EPS beat, however, as the company’s same-store sales came in weaker than expected. Comparable restaurant sales grew a mere 1% during the first quarter, hardly a figure that can justify Chipotle’s premium valuation.